"How do I write a self-assessment for my job?" "I really don't know what do write for my job self-assessment." "Seriously, I need some career assessment tips." At some point over the course of your career, your boss is probably going to ask you to write a self-assessment. It’s a routine part of the evaluation process at many companies nowadays, so allow me to cover the five benefits and nine strategies to evaluate yourself much more easily and effectively. Reviewing your own work positions you to be better prepared for the upcoming discussion with your supervisor. There may be fewer surprises that could catch you off guard. You will give your manager important information. Events from earlier in the year are easily forgotten in a busy workplace, and your manager may not be familiar with all the details of your tasks. Your input is essential. You can track your progress better. You can learn a lot from how others see you, but it's also important to take your own measure. Rate how you're doing on the elements of your job that are most meaningful for you. You can reinforce and clarify goals. Remember that one purpose of an evaluation is to help you do your job well in the year ahead. Review your current goals and adjust them as needed. You can strengthen your career prospects. Listing your accomplishments helps you make the case for taking on more responsibilities or getting a promotion. It may also prompt you to explore other openings. It's natural to feel tense about being under review. Take a walk or play gentle music to put yourself in a positive frame of mind. Relax! Jot down your major accomplishments each week. It's much easier than trying to remember them all twelve months later. Sticking to this routine will also make it evident that you're diligent all year. Even if your employer lacks any requirements for a self-evaluation, you're better off volunteering to do one. Offer your supervisor a list of the items you feel are important. Speak in concrete terms about how you've increased revenues and reduced costs. Find ways to really measure your impact on the company. It's possible for any position, whether you work in sales or accounting. Bring along proof to back up your statements. Save flattering emails from clients and colleagues. Take before and after pictures of the work areas you reorganized or the brochures you designed. Propose solutions for any weaknesses. Of course, it's important to address the whole picture. For every area where you aren't as strong, lay out your plans for boosting your skills. Ask for additional help and resources. This is the time to request the support you need. Explain why a certain seminar or subscription would be worth the investment. Hand in your materials early. 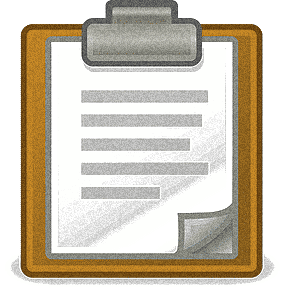 Prepare your evaluation well in advance of meeting with your supervisor for your formal review. It will give them more time to process your input. Managers often consult a variety of sources in order to write employee evaluations, so they may need a chance to reconcile different viewpoints and explore new information. Listen and learn with an open mind. Reviews are most productive when they're conducted as an open and respectful dialogue. Being receptive to what your manager has to say will help you to grow as an employee and an individual. Feedback from others is vital and instructive. View your annual performance evaluation as an opportunity to learn more about yourself and possibly advance your career. An employee self-assessment allows you to shine a spotlight on your achievements and propose solutions in areas where you want to improve. Assess your career and solve your problem, click here.